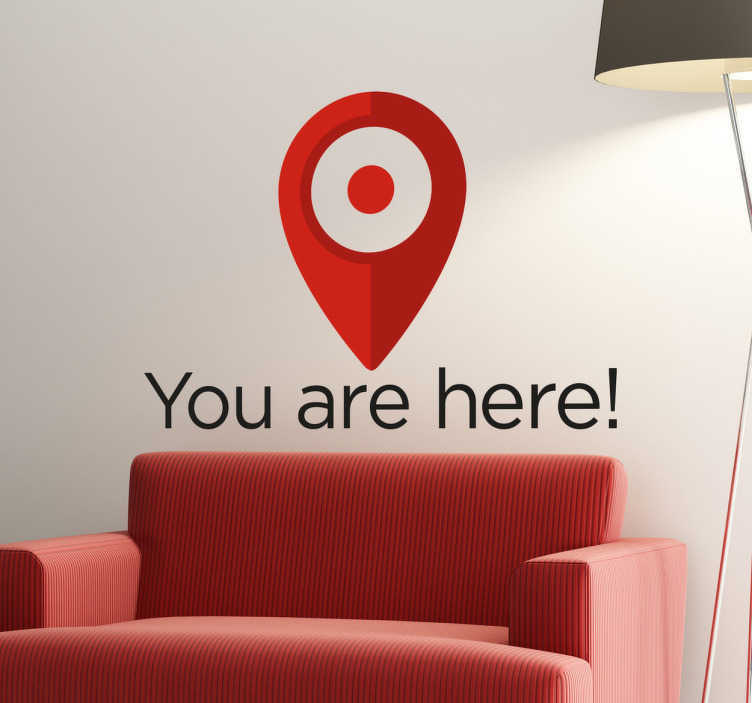 This funny wall sticker consists of a marker used by Google with the lettering "You are here". The wall sticker is suitable as a decoration for your home, for example in the living room or in the bathroom, but also in small format on a map or board for directions. No one will ever lose this sticker!